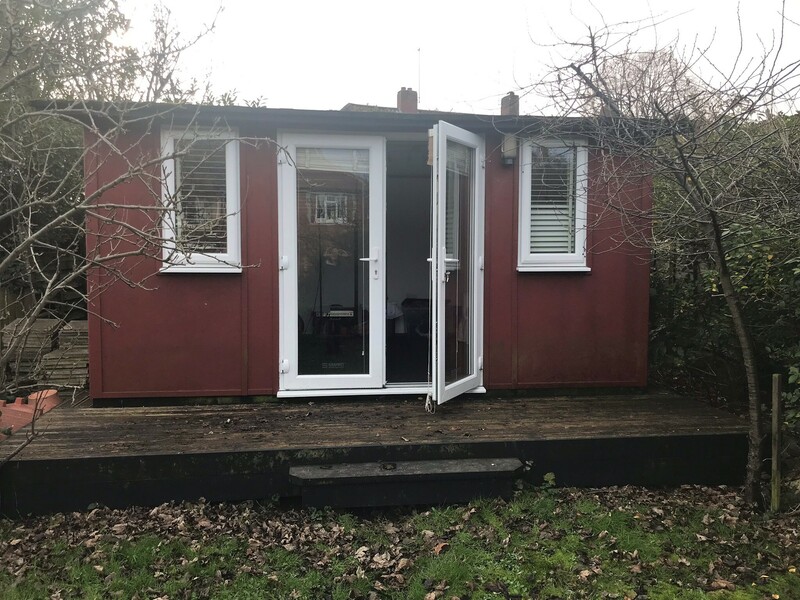 Pre-Owned Garden Offices For Sale. 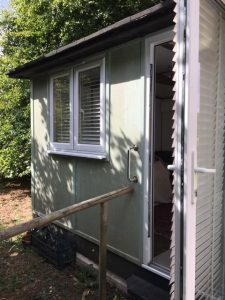 These second-hand, used garden offices offer a great value alternative for a cheap office in the garden. 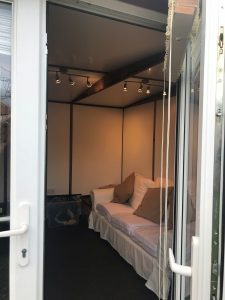 SMART – Garden Rooms, Offices and Studios will advertise any buildings for sale, as part of the service that we offer to our customers, and will undertake all the moving and removing duties. Where applicable, any remaining warranty is transferred to the new owner. To enquire about any of the second-hand offices detailed below, please call us on 0800 242 5559. 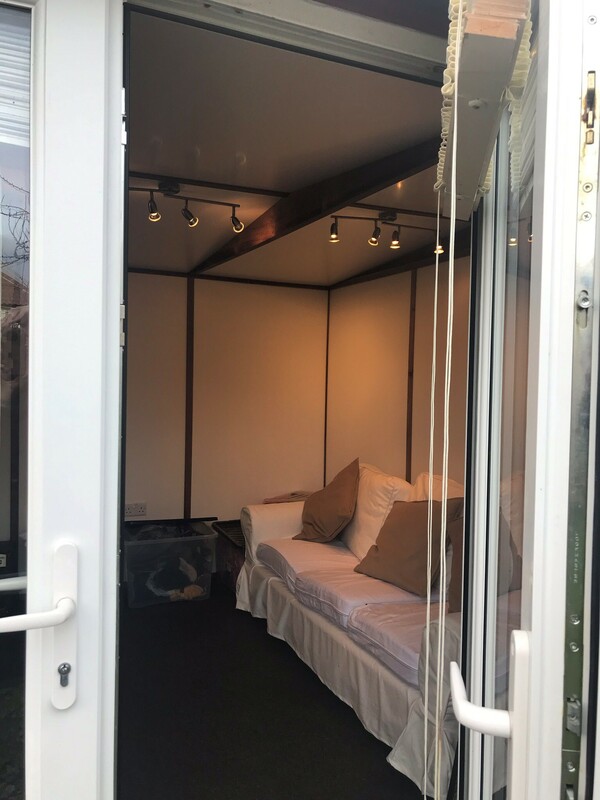 Description: A Smart Classic Duo garden room originally installed in 2015. Beautifully designed allowing plenty of natural light. Colour: Aldeburgh Green exterior with White UPVC double glazed windows and doors. Configuration: Single door placed to the right on the front elevation with a double opening window to the left. There is a further treble opening window on the right elevation and a single opening window on the rear elevation. The building comes complete with a plank style varnished wooden floor, white wooden venetian blinds and a full floor to ceiling bookcase with adjustable shelving. The internal furniture is not included in the sale. 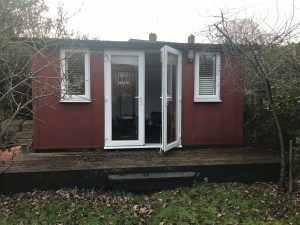 Size: External dimensions including roof = 3.9m x 3.9m. Internal dimensions = 3.2m x 3.2m. Price: £3,200 + Delivery/Installation (this does not include a suitable concrete base or electrical hook up). Purchase: Direct from current owner. 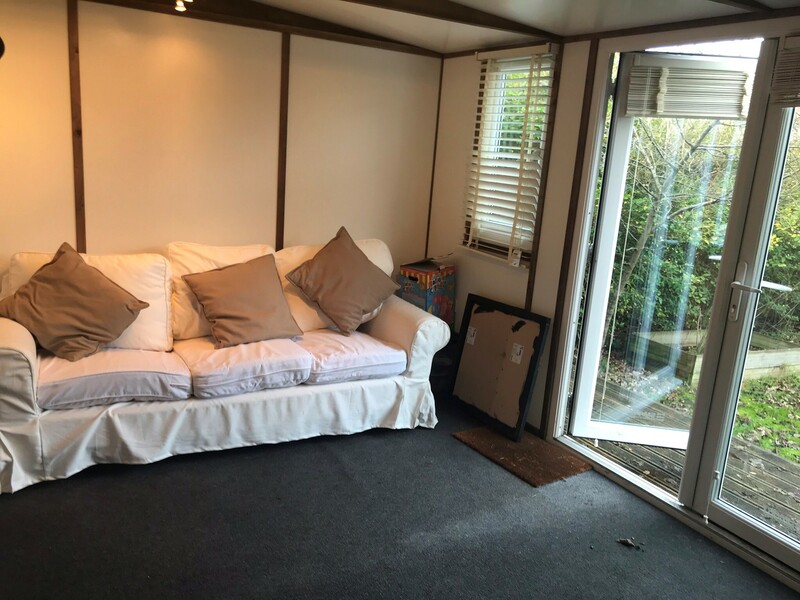 Removal and reinstallation: To be completed by the Smart Team. 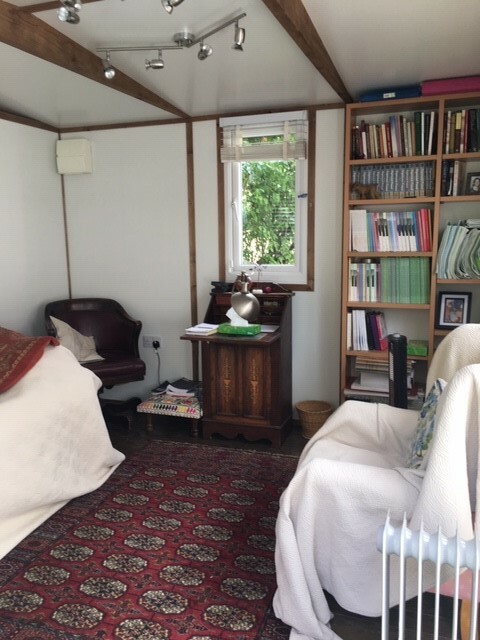 Description: A Smart Classic Trio garden room originally installed in 2012. Beautifully designed allowing plenty of natural light. Colour: Victorian Red Brick exterior with White UPVC double glazed windows and doors. Configuration: Double doors are centrally placed on the front elevation flanked by a single window on either side. There is a further high line window on the rear elevation and a double opening window on the central left panel. 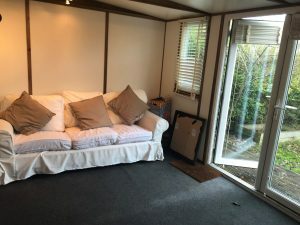 The building comes complete with the exterior decking, carpet and white wooden venetian blinds (the internal furniture is not included in the sale). Size: External dimensions including roof = 4.9m x 3.9m. Internal dimensions = 4.3m x 3.2m. Location: Welwyn Garden City, Hertfordshire. Price: £4,500 + Delivery/Installation (this does not include a suitable concrete base or electrical hook up). Removal and re-installation: To be completed by the Smart Team. Warranty: There is no Smart warranty with this building. 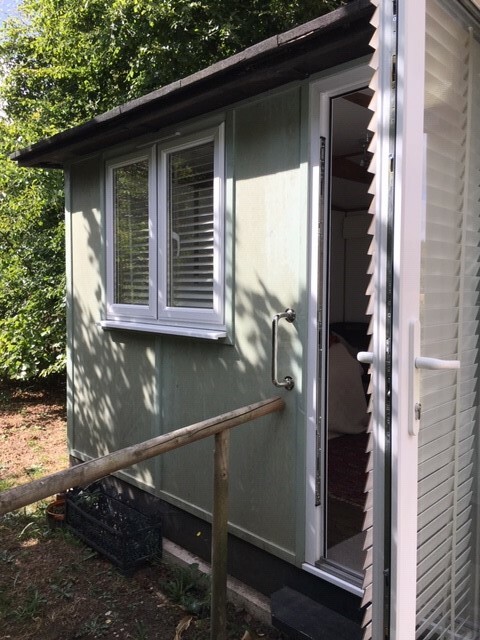 Contact us to purchase a used garden office.